Traditions. I grew up in a large family with a Mother who believed strongly in traditions. They were a lot of little things that we did as a family that became big things to me and created meaningful experiences that shaped my childhood. 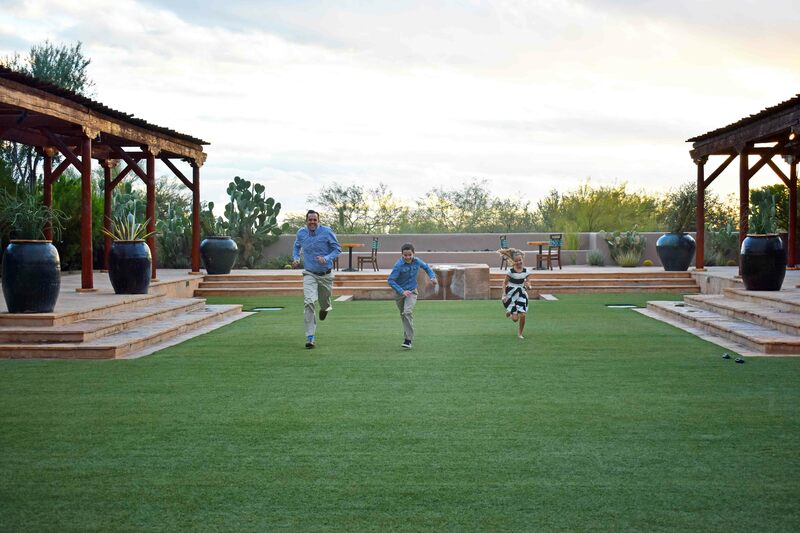 As a Mom of 4 kids, I wanted to create a home rich in happy traditions that my kids would always remember. Christmas is the time of year that is full of traditions and one of our favorites is to visit a beautiful hotel and enjoy their Christmas festivities. 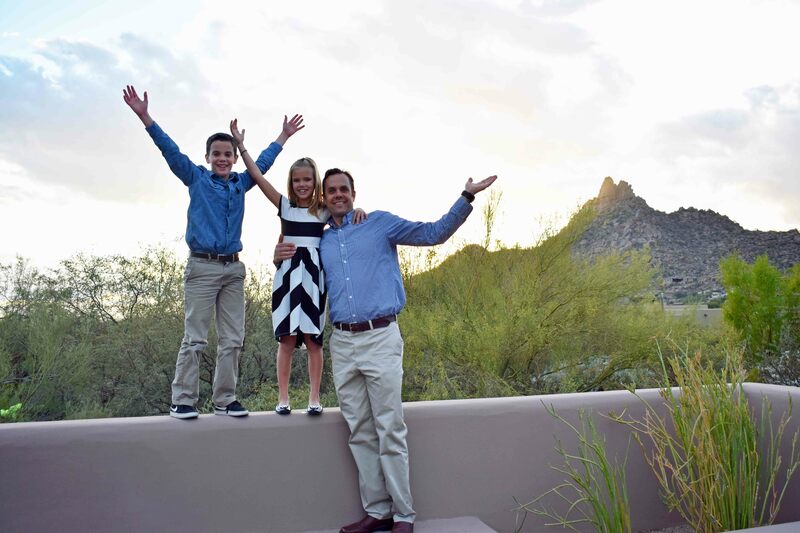 We had that opportunity this weekend, as we spent two wonderful days at the Four Seasons Troon North in Scottsdale. After staying there for just one night Sadie declared, “This is the best place ever! I want to move here!” Me too….sister…me too. 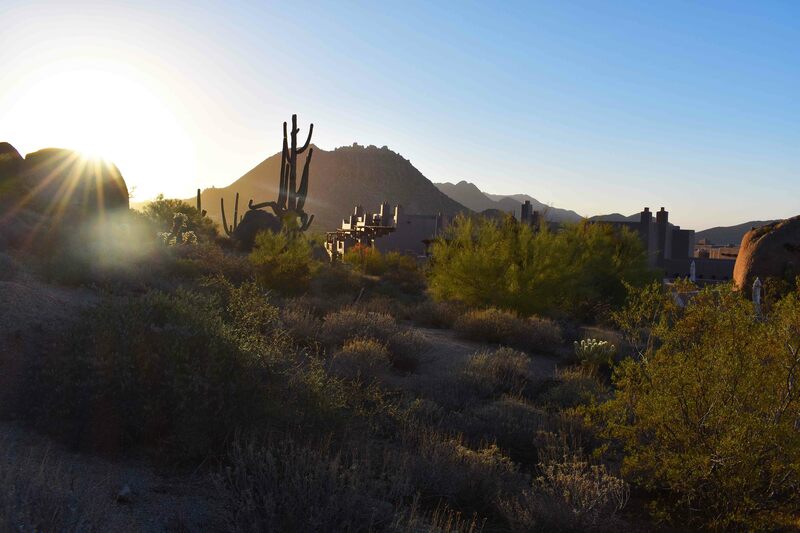 It is set in the tranquil desert of North Scottsdale, Arizona where life slows down and the beauty of nature comes alive. I was counting down the days until I could try out their popular restaurant, PROOF, for I have been hearing rave reviews about for as long as I can remember. As soon as we unpacked our bags, we headed to dinner and we were treated so well. Our waiter was passionate about food and went into great detail about every single dish….and I soaked up every single word! The ambiance is unlike any restaurant I have ever visited. 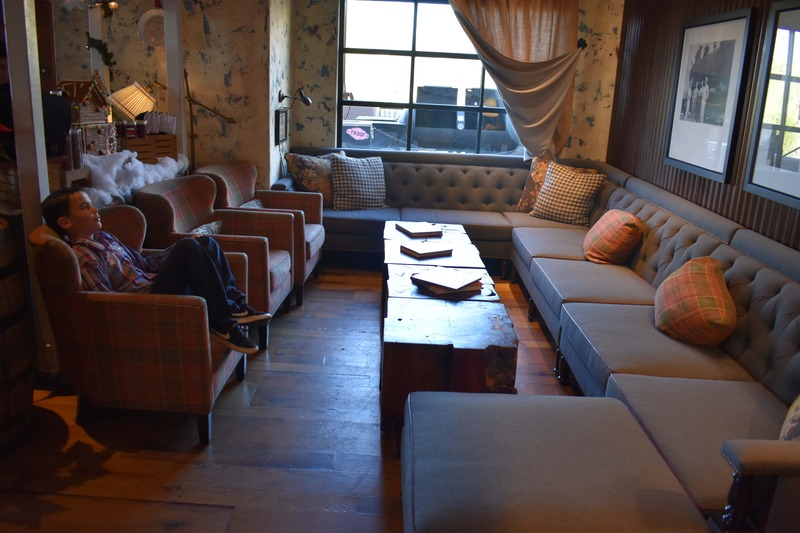 It’s so eclectic, welcoming, and homey, with sectional couches lining the walls. 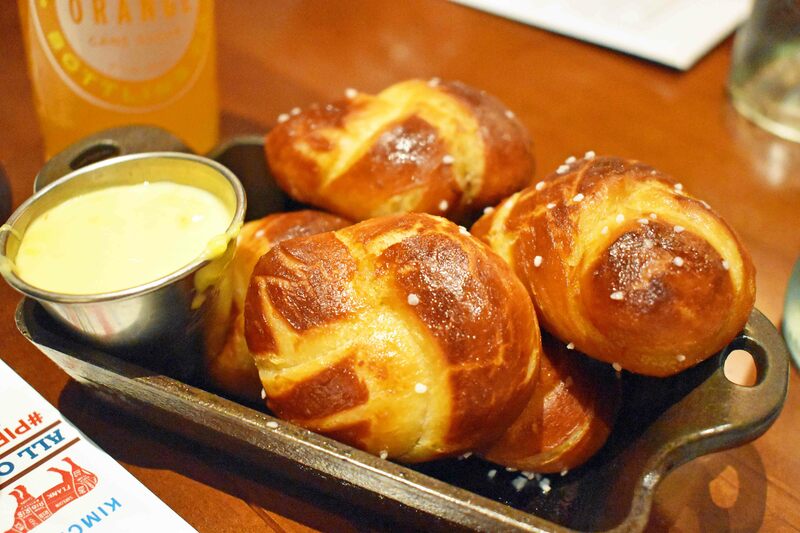 They are famous for their pretzel bites with homemade cheese dip. I heard they were good but no one quite prepared me for how good. We were utterly speechless! There is no comparison. They were the best pretzels I have eaten, anywhere! Dean ordered a second round on the spot, since they were gone in less than 60 seconds. We didn’t stop there! We ordered wings, ribs, salad, salmon, short ribs, shrimp + grits, and a handcrafted ice cream shake. We rolled out of there! The food and the ambiance made me one huge fan. 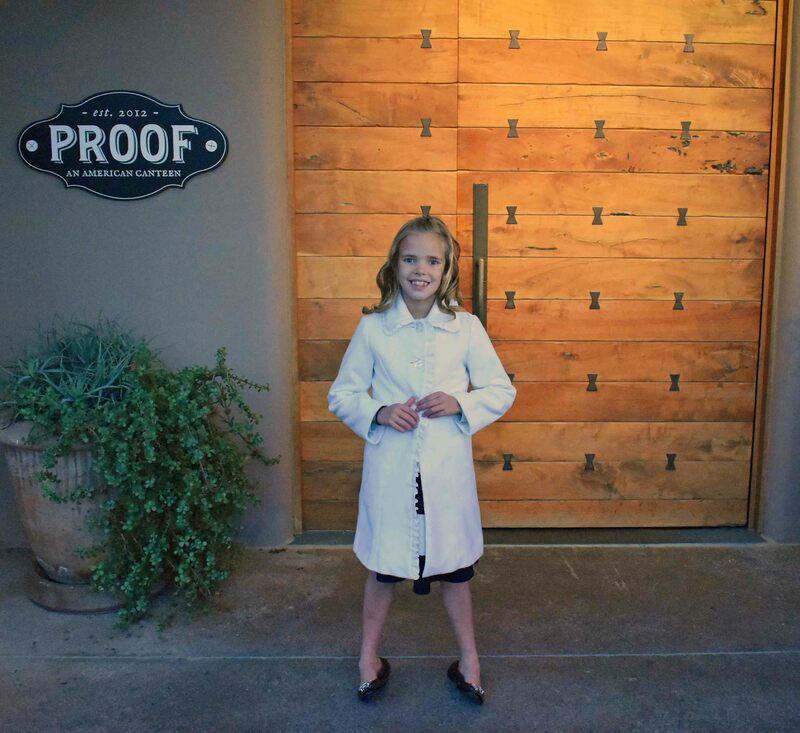 We can’t wait to hit PROOF again for date night. After our amazing dinner, we headed back to the room so the kids could change into their PJ’s. 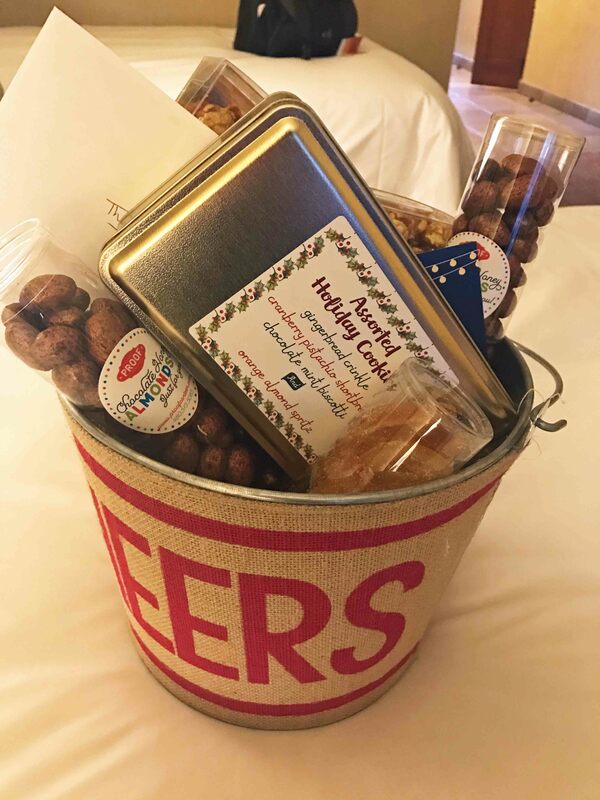 They were ecstatic to find a large festive bucket filled with candy — homemade caramel corn, chocolate honey roasted almonds and candied oranges. After we changed into our stretchy pants, we headed over to the Festive Flicks. It is usually set on the great lawn overlooking the desert, with white lights strung all over the trees. However, the light rain dampened the outdoor experience so it was a necessity to move indoors. It was still magical! 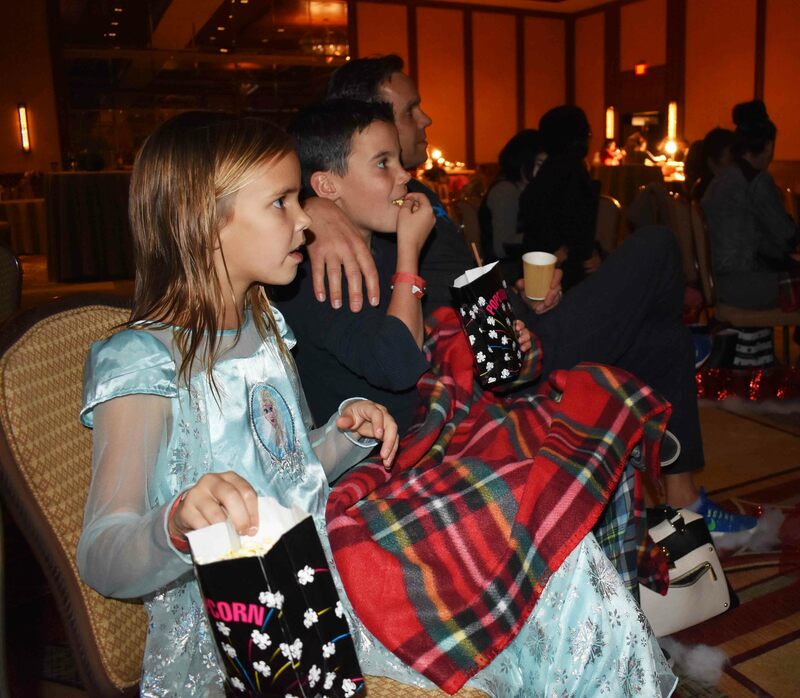 They transformed the ballroom into a Christmas wonderland with a large movie screen playing the funniest Christmas movie of all time, Elf. 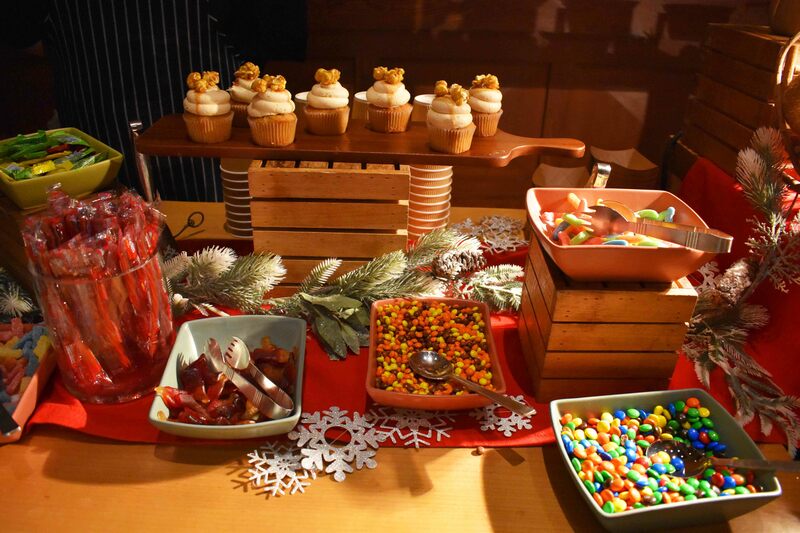 We were treated to the ultimate sweet dessert bar. My little Sadie couldn’t get to her plate fast enough! For a small fee, they offered homemade hot chocolate made with high quality chocolate and heavy cream. It was topped off with marshmallows, vanilla bean whipped cream, and real chocolate shavings. There was salted caramel corn cupcakes, a huge array of candy, and fresh cinnamon churros dipped in homemade caramel or hot fudge. 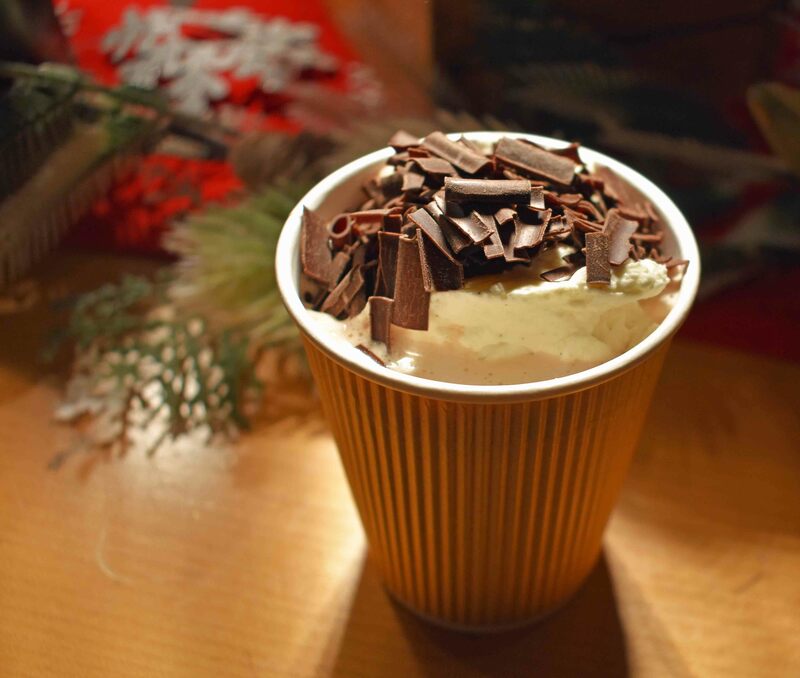 Find a HOMEMADE HOT CHOCOLATE RECIPE BELOW. They had fuzzy plaid blankets to snuggle up in as we watched the movie together as a family. My kids couldn’t stop talking about how much fun they were having and definitely didn’t want the night to end. My kids climbed into their comfy, warm beds and went off to sleep. As we went back to our room, Dean and I sat outside on our patio in cushioned lounge chairs. Their patios were private, secluded, and overlooked a large mountain. It was so peaceful and as we sat there, we looked at each other and said, “Is this real life?” There is something rejuvenating about getting away from the city and being in the solitude of nature. We woke up in the morning and watched the sunrise from our patio. My husband was determined to climb the mountain straight outside our private patio. I made it about halfway up but my husband made it to the top and saw one incredible Arizona sunrise. 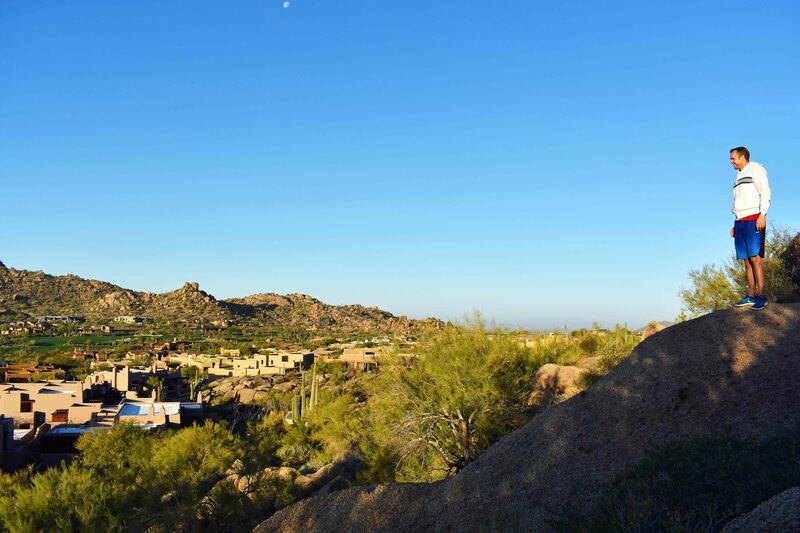 For those who like to use a trail, the Four Seasons Troon North has a popular trail connected to their resort. 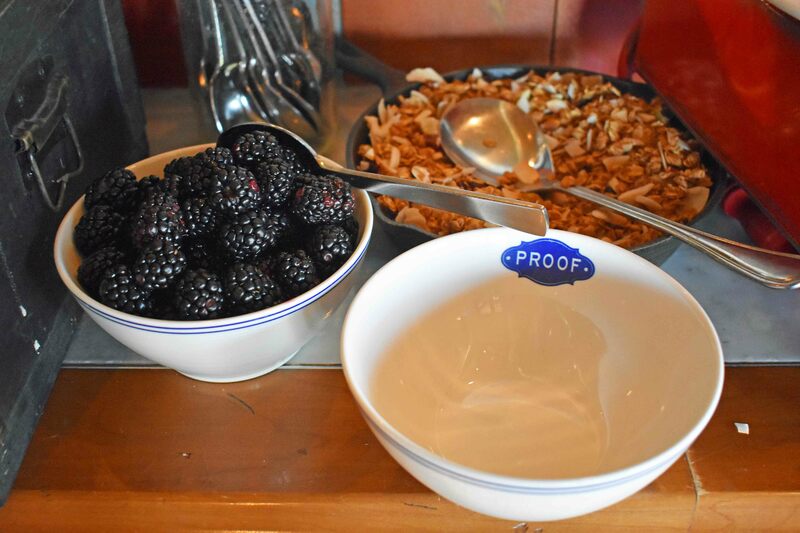 After working up a sweat, we headed back to PROOF for their popular weekend breakfast buffet. 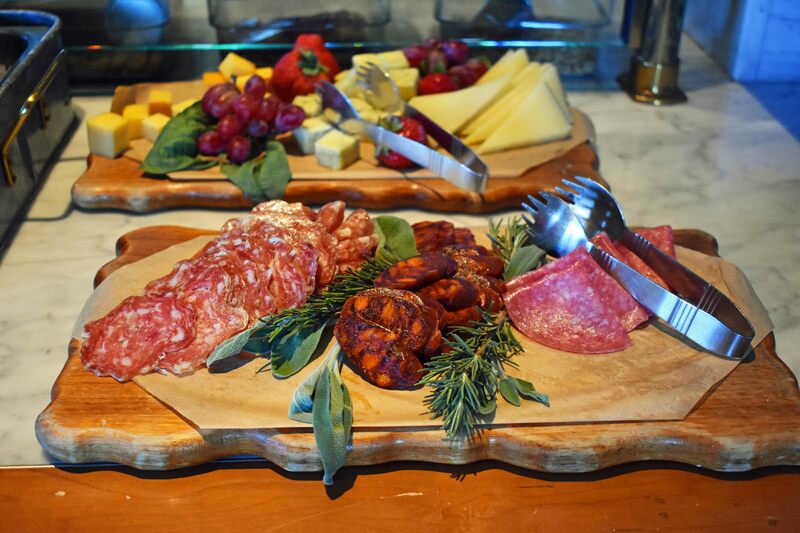 This wasn’t some ordinary buffet. 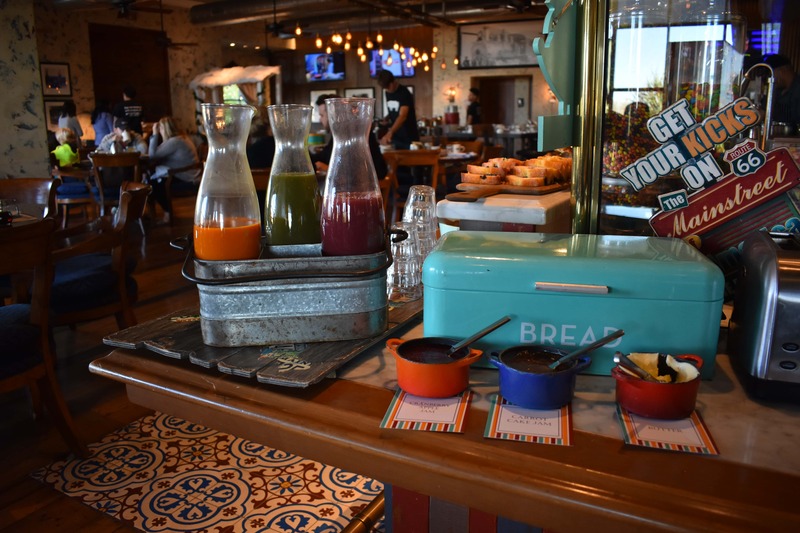 It had top of the line, quality offerings complete with an omelette bar, fresh yogurt parfaits, smoothies, freshly squeezed juices, antipasto boards, quality bacon and sausage, waffles with real maple syrup, belgian chocolate chunk pancakes, and so much more. I wanted to try a bite of everything! 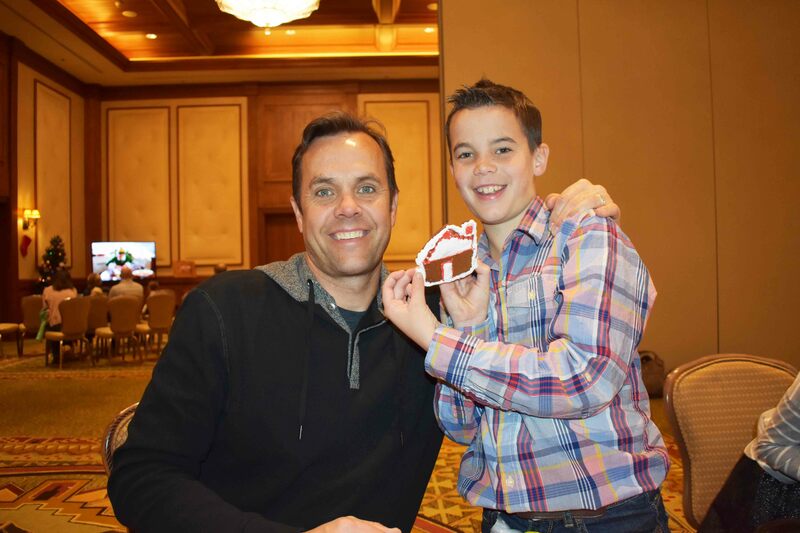 After breakfast, we headed over to the event my kids were really looking forward to — Cookies with Claus. 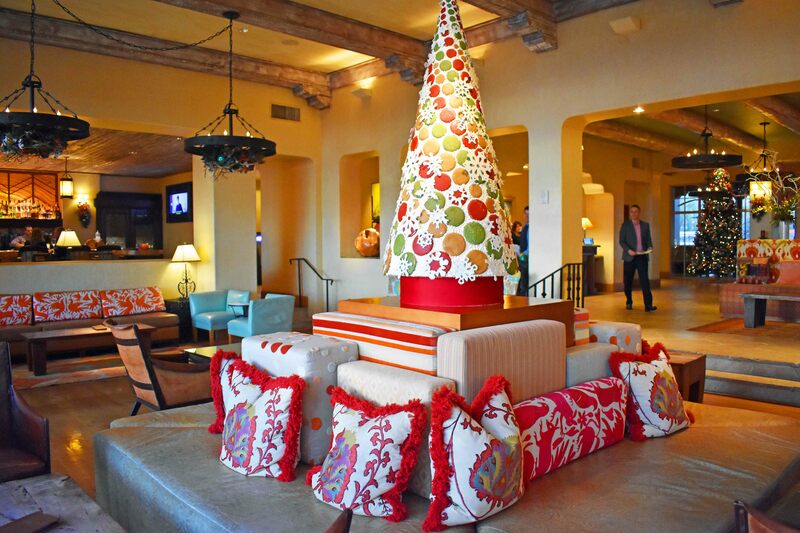 It is an impressive event that the Four Seasons Scottsdale puts on for kids every year at Christmas time. There was a happy crowd of holiday dressed kids, all waiting and excited to get their hands on the sweet offerings. The activities took place in a large ballroom and the kids were entertained for hours. 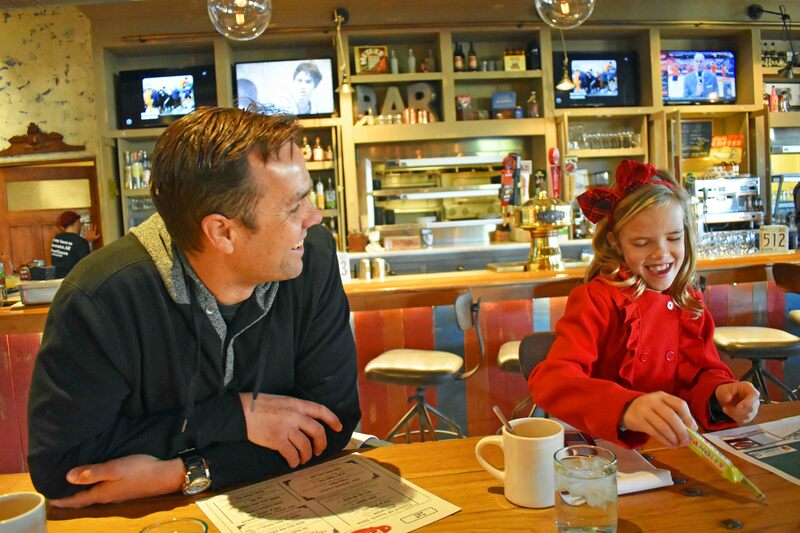 The first stop was at the cookie jar to meet Mrs. Claus and Elves. 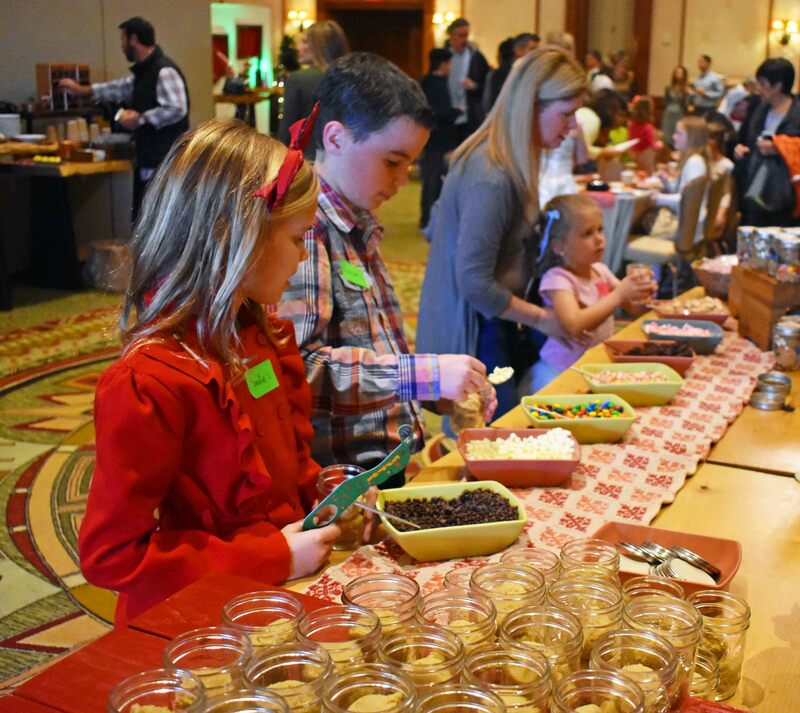 They each received a jar full of cookie dough and filled it with all of their favorite toppings from M & M’s to peppermint candy canes to white chocolate chips and everything else in between. 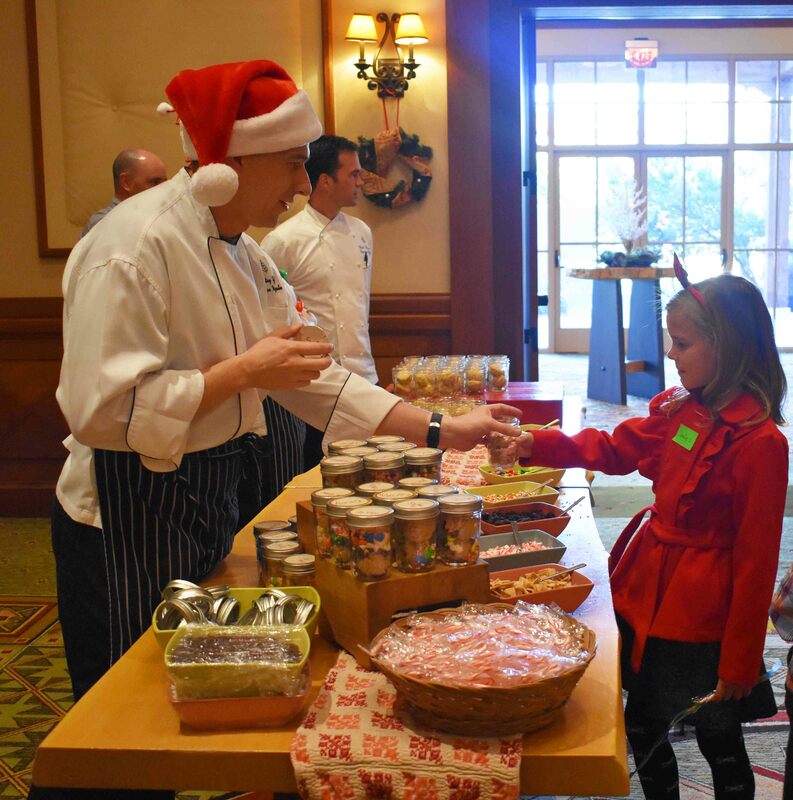 Each jar had the child’s name on it and while they were busy doing other fun activities, the Elves baked their cookies. They were then invited to decorate their own gingerbread cookies. 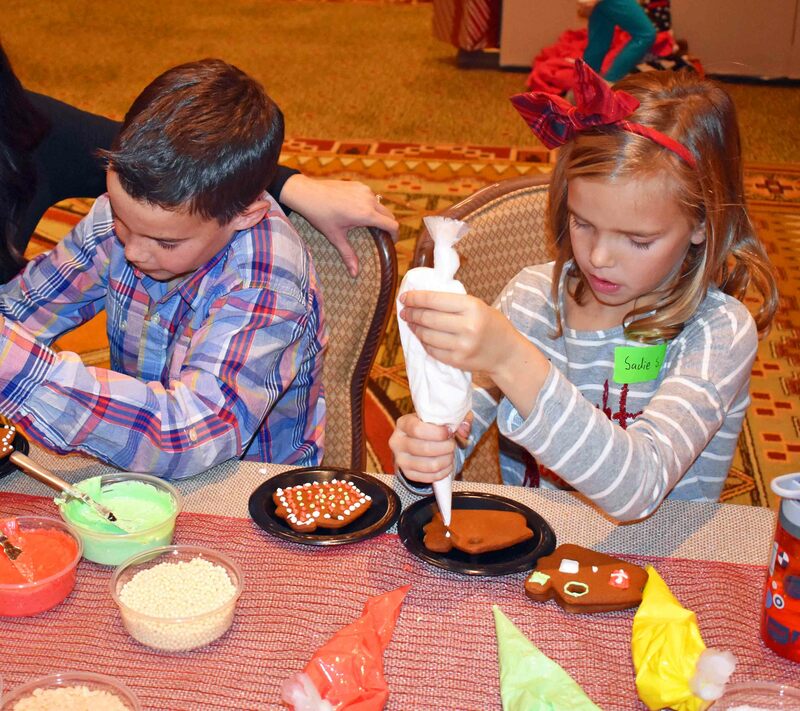 The large tables were lined with colored royal icing, sturdy gingerbread cookies, and sparkling sugar. Sadie didn’t want to leave the table! She spent over an hour decorating ten cookies! 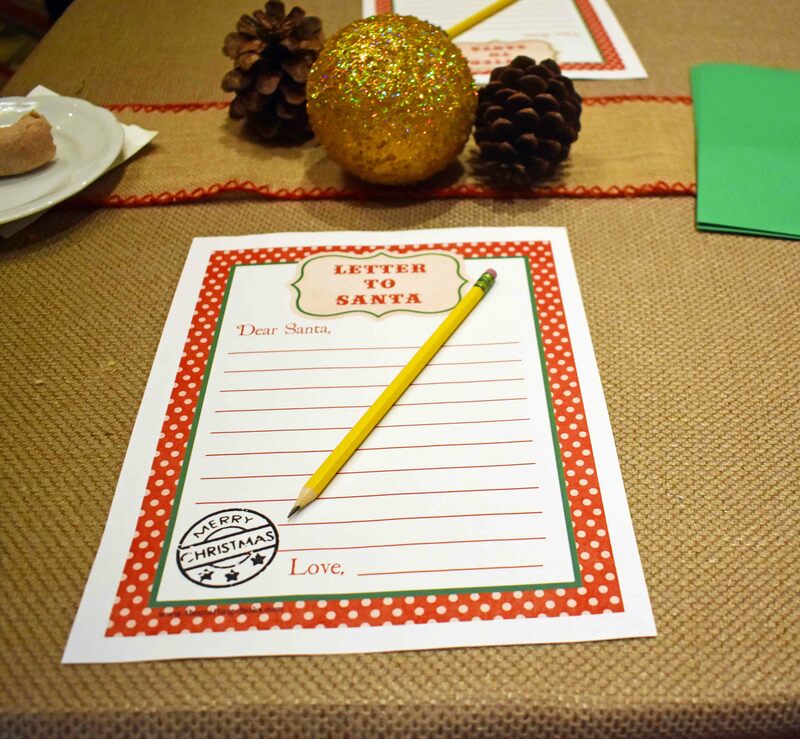 There were many craft stations from homemade ornaments to decorated bags to letters to Santa. They had the cutest photo booth with props we could wear to create the perfect Christmas picture. There was a bouncy house for those wanting to burn off some calories from all of the sugar or they had a Christmas movie playing for those that just wanted to relax. All the kids gathered around Mrs. Claus for story time and she had one captive audience as they soaked up every word. 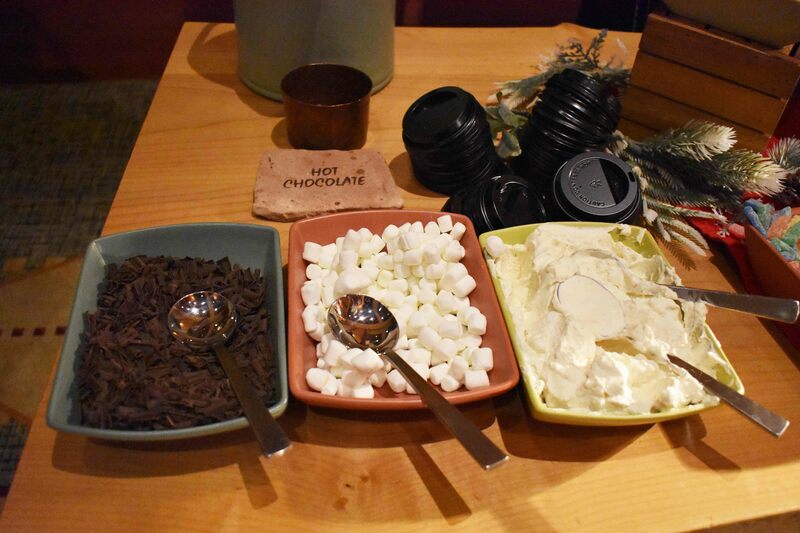 I couldn’t eat another thing after our incredible breakfast buffet, but I did sneak out for a few minutes to sample the hot chocolate bar. The kids, however, were still taking advantage of a table full of Christmas cookies and milk. It was such a fun morning and made us feel the Christmas Spirit. 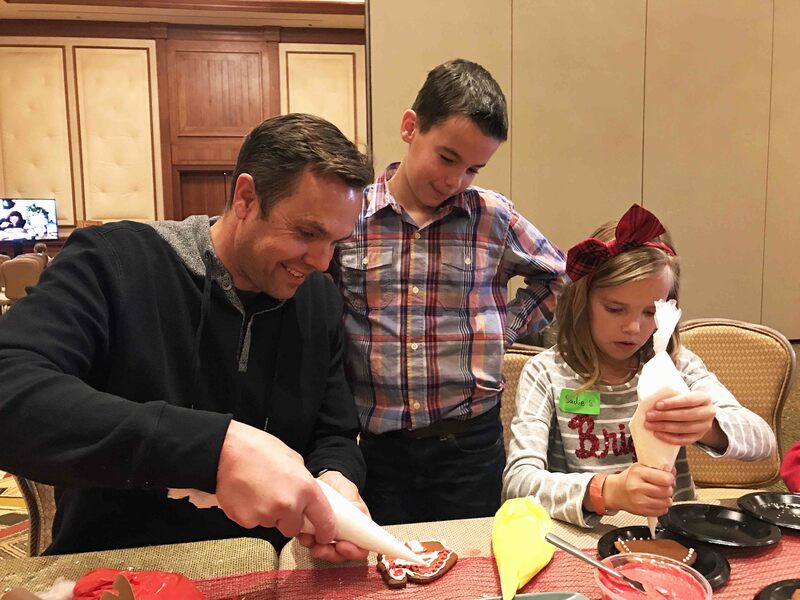 We were able to fit in so many traditions into one day — decorating gingerbread, watching a Christmas movie together, sipping hot chocolate, writing letters to Santa, taking Christmas pictures, listening to Christmas stories, and making Christmas crafts. We loved every minute of it! After so much fun at Cookies with Claus, we headed to the pool for a little rest and relaxation. The pool was heated, the air was crisp and cool, and the sun was shining bright. It was perfect! My kids loved dipping their feet in the hot tub and my husband took one fabulous nap. He definitely didn’t want to leave the Four Seasons Scottsdale. None of us did! I drank more hot chocolate in 24 hours than I would like to admit! 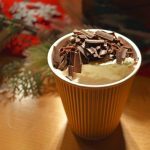 If you want to make easy homemade hot chocolate at home like they serve at the Four Seasons Scottsdale, then here is the recipe for you! It is made with three simple ingredients and can be made in less than 5 minutes. Homemade Hot Chocolate made with 3 ingredients in less than 5 minutes. In a medium saucepan, heat heavy cream and milk for 4 minutes over medium heat. Once it gets warm, add chocolate chips and whisk well until melted. Top with fresh whipped cream and chocolate shavings. I hope you are all prepping for a wonderful Christmas week! 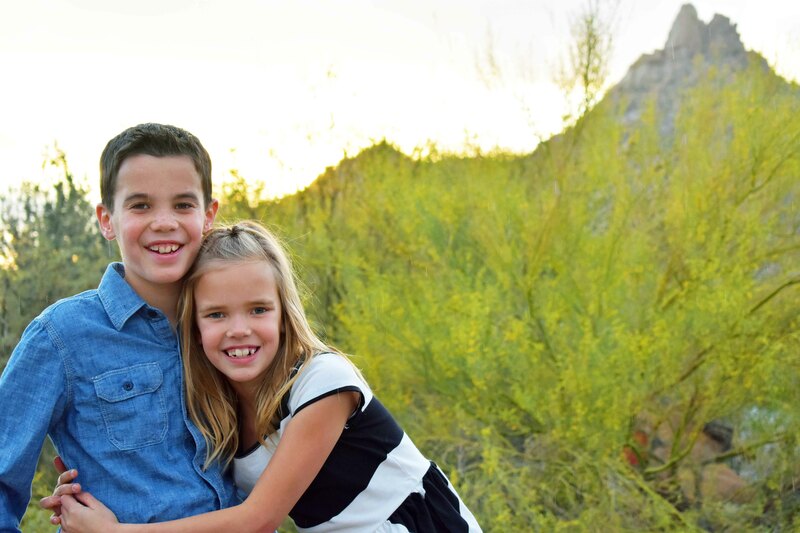 Do you have any special traditions that you and your family do? I would love to hear them!